Are you a coach, trainer or work within the 'people helping' industry? Becoming a Firewalking Instructor is the most empowering training for yourself and your participants. If you regularly run workshops where the goal is to unlock people from their fears, beliefs, patterns of behaviour then this for you. Giving people the gift of clarity and purpose is so rewarding. I speak from personal experience – this training is the training that really connected me to my heart purpose. I finally knew my own style of teaching, and I am now able to impact peoples lives forever. I undertook my training with with Peggy Dylan and her business ‘SUNDOOR’. 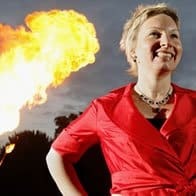 Peggy is recognised as the leading expert in the field of FireWalking and I became an accredited Firewalking Instructor with her. I am delighted to now be able to pass on this most powerful form of training directly to you. During a 5 day retreat we will explore everything from wood types, fire building, coal beds, raking, tending fires to firewalking safety, presentation skills and workshop timings. If you’re looking to incorporate Firewalking into your motivational workshops then this is absolutely the course for you.